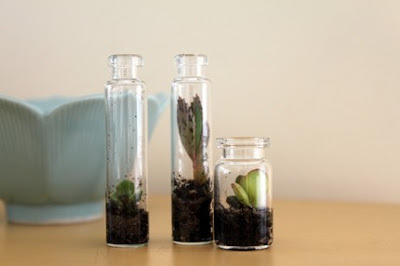 So you think these wine bottle and glass bowl terrariums are tiny? 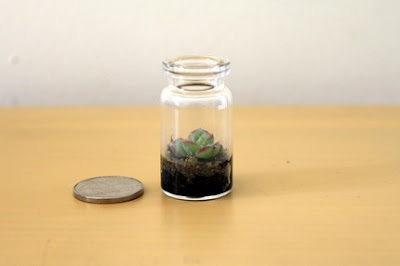 Hop on over to the Etsy shop of Tortoise Loves Donkey to peep some truly small terrariums. I have seen some "pendant" terrariums with some suspiciously-dead looking green moss mashed in 'em but these terrariums are ALIVE and oh-so- miniscule. Hats off to you tortoise and/or donkey. Ohhh! Those ain't gonna live long. They'll outgrow those too small containers.